Today I attended a Tai Chi fundamentals seminar during my physio’ time to brush up on my basics and hopefully improve some more. A seminar is longer than my physio’ time so of course I hurt a little more than usual afterwards, but now I am under the blanket on the sofa with my hot water bottle (back in it’s fluffy cover again!) and I’ve just drunk a nice cup of tea. I plugged in the stereo before I sat down and I have the volume down really low to allow me to listen for a little longer before the noise sensitivity pain makes me turn it off. My music is on shuffle so I am getting a variety of tunes from different genres which is rather fun. For lunch I’ve eaten some fruit and some cheese (the latter to help my brain recover from the seminar). The sun is shining outside and trying to shine in a little through my overhung front window. I am grateful to be able to spend my physio’ doing something that I love, and to be able to spend the time that I need to recover afterwards. I have my laptop with me, and that means that I have my friends with me too (as that’s where you all live)! And now it’s November and WEGO have set a similar challenge, making this National Health Blog Post Month for us health bloggers. I want to do it, although I know I can’t do it in the 30 days. I had to face up to the reality back in April that my health won’t let me post every day without keeling over But that’s the point…. I’m a health blogger. I blog around my health. My conditions are a major issue and they certainly don’t affably fade into the background to let me get on with things without them. My brain stops working if I try to use it too often. Some days I will be too faint to stay upright or think straight. Some days my pain will be through the roof. Some days I will be able to write. For a short while anyway. Writing is, for me, a fairly recent discovery. It began a few years ago when I got to the stage of having seen so many doctors who did not know about my condition that it was either… keep waiting for someone else to do something about this, or… do something about it myself. Speaking to my friends about this, the general consensus was that I should write a book. They gave me many (in)credible reasons about why they believed that I was so suited to accomplish this feat, and the phrase “you are an inspiration” kept cropping up. I struggled enormously to comprehend their point of view, especially the idea of being an inspiration just by being stubborn, determined me! The overriding problem was my lack of confidence and belief in myself. None of us should believe ourselves so capable and knowledgeable that we are no longer open to new, or corrected, knowledge. I believe it’s good to be humble. In this manner we retain our open minds and allow ourselves to keep growing and learning. Of course the part I’ve always been terrible at is the part where I should at least have still acknowledged my own skills! No matter how hard I tried, I could not see myself the way my friends said they did. I am an expert patient, but I felt I was ‘only’ an expert patient. And I’m not the only one in existence. There are other patients out there with medical training, which gives them a much better foundation on which to build knowledge of our condition. The truth is, of course, that we each have much to offer and different foundations to build on. Individually, many of us have the knowledge, skills and motivation to write a book that could be helpful to other patients. But the biggest impact is when we share and pool our knowledge and skills, and thanks to the internet we have a fantastic communication resource at our fingertips. So I worked on the humble-ocity (!) rating, privately wrote about my ideas, and things have been a-changing. The internet gives us connections worldwide, and the information made available on it is accessible at any time of day or night from our own homes. If I wrote a book my fellow patients would need to hear about it, decide if it could be useful to them and then spend money to gain access. Whereas this blog is available to anyone who has access to the internet at any time and at no extra cost. 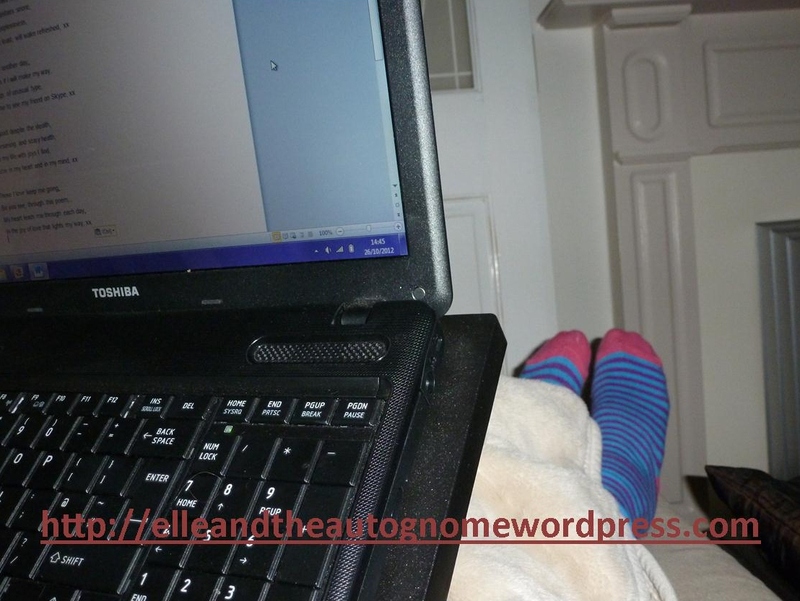 Writing a blog also seemed less scary as I certainly did not see myself as a writer. I began by drawing together the “What is CRPS?” page because gathering information into one place was my initial main goal. That page reads rather differently to most of the rest of this weblog because it is information based, and I was still finding my way when I wrote the initial bulk of it. I took to chatting a bit more in blog posts but it took a while, and some encouragement from others, before I found my ‘voice’: the way in which I speak through my writing. It turns out, all I had to do was tap right into the core of me and just be myself. Who knew?! So I have a huge list of themes I’d like to talk about and silliness I would like to share, and they are scribbled in a notebook (a gift from Magic Dude for that very purpose) which I keep next to the bed in case of random inspiration! But when it comes to choosing what to write about in the moment I will usually go with how I feel, as I’ve found that’s the best way to put my heart into what I’m saying. I’ll look at my notes and one topic may jump out at me. At other times I might have a thought or experience that I feel like sharing, or perhaps a silly picture. One of my most recent posts was born of the incredibly poor media representation of people on disability benefits in the UK, (which you can read here). And rather than divert from my other writing in this blog, it actually reveals more about me as a person. I never have a plan for what I’m going to write. I know essentially what I want to ‘say’ in the sense that I know how I feel about the topic, but I allow what I write to come together as I go along. Sometimes this results in a bit of a hodgepodge of ideas, but often it just comes together in the natural flow. With some of my posts I have found that the process of writing is actually a journey of thought and emotion which naturally leads to a really honest core statement or point of view at the end of the piece. When this happens it is so instinctive that it feels like the natural way to end because I didn’t plan it. The words are raw, genuine and from the heart. And as they flow from me they feel right and lift my spirits. I used to be an artist, and in those moments where the words just flow from me I feel a similar joy in writing as I used to feel when painting or working with clay. It’s a ‘high’ of self-expression and openness, and in that moment I dare to expose a little more of who I am to the world. (From-the-heart post examples include, This Too Shall Pass, Why I also live in cyberspace, and Experiencing cognitive change). So I have no plans for my posts other than a general theme or topic. I write from my heart, how well this translates depends on how well I am at the time. I still don’t feel like a writer. 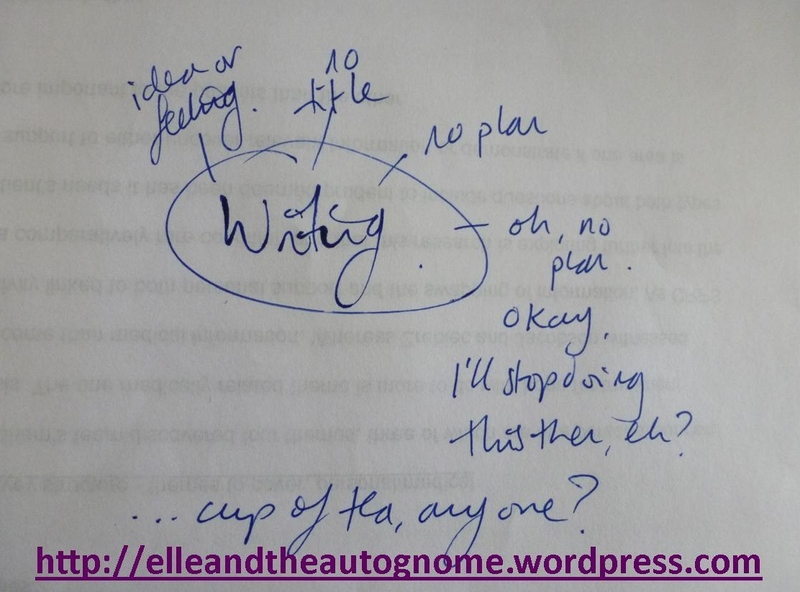 Hang on… I think that has just shifted… I do see myself as a writer (of sorts) (sometimes)! 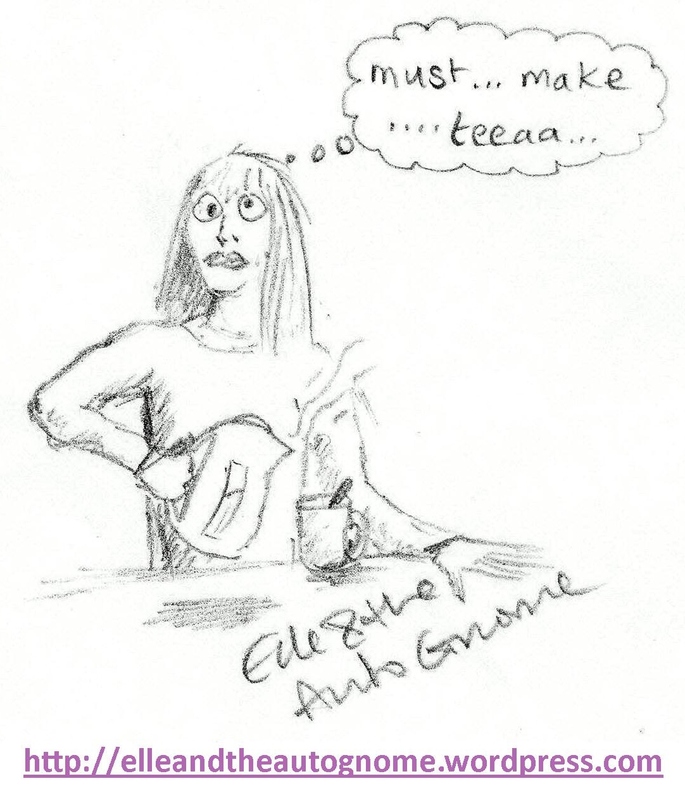 A mishmash view resulting from ‘writing’ compromised by the effects of the ‘Auto Gnome’. But I am always just me. And when a piece comes together I can be pleased just as I would be if a painting turned out okay. We always see the flaws in our own work, but we can still be pleased when something turns out better than we expected. And there is joy in the writing, joy in the sharing of thoughts, feelings and valuable information, and a joy-satisfaction in the pressing of the “publish” button as I realize that I have shared another part of me and that it’s not scary to do so anymore. Today the Olympic torch finishes up its journey with the lighting of the cauldron in the main stadium. Many worthy people have carried it on its journey, some of whom I have mentioned along the way. Some fellow patients slipped under the radar on this blog as their conditions were not mentioned online. But whatever the reasons for a torchbearer being nominated, it is always glorious to see such wonderful examples of our fellow humans doing good, and shining some light upon the world. (In the case of the torch, I guess that’s quite literally shining light, too)! They lift our hearts and make the world a more beautiful place. After all that relay jogging around the UK we await the opening ceremony with mixed excitement and intrigue. After all… countryside animals, fake rain clouds (in case it doesn’t actually rain), pseudo music festivals and a hoard of NHS nurses does sound rather intriguing! Trying to make sense of the cognitive decline remains one of the most terrifying aspects of my recent experience. Not being able to follow a conversation, pick up on a context, remember really obvious words or spell words that I use really regularly is scary in a way that the physical pain levels, nausea and even the permanent near-fainting, never are. Losing our brains is often what we humans say we could never face. Conversations about ‘if I lose my marbles when I get old’ crop up from time to time in most families. And we all see it as a distant possibility towards the end of our lives. It becomes a more real possibility the older we get, as does everything associated with age and a naturally deteriorating body. But how do you cope with losing important and relied-upon brain functions in a period of just over two years? When you’re still in your thirties? And which directly relates to your existing pain condition, but which no-one ever forewarned you about? Um. I just don’t know. So I’m ploughing on in the hope that I’ll work it out! And that sums it up, really. We get on with it because what else is there to do? Falling apart emotionally happens but it’s a response, not a permanent solution or way-of-working. And my friend is truly an inspiration for getting on with things within the restrictions of her conditions. There’s no point in wallowing. True enough. But there is a period of shock, confusion and fear followed by finding out ‘why’ and then, sometimes, a period of being peed off because couldn’t someone have warned you about this so that you could realise what was happening at the time? So that you don’t put your foot in important conversations and have no idea that anything untoward has occurred until you lose people from your life with no comprehension of why or what is going on. Worse still, when they stipulate exactly what meanings they’ve read into your conversations and behaviour, it still makes no sense, it makes things worse. It’s like they have been brainwashed into thinking you’re actually someone else with an opposite personality and moral core to who you really are and have always been. ‘Cept it turns out, during a slow and horrific period of realisation that takes months or even years, that actually it seems that the taken-forgranted brain was seriously malfunctioning, (owing to oxygen starvation and ‘fight or flight’ shut-down, amongst other things). I now know that anything that I thought I clearly remembered or understood should now just be regarded as merely my faulty brain’s view, (and as a pure fluke if I actually ever remember anything correctly), because I now know that my brain was not processing information coherently at aaaall. I was having conversations that were totally different to the actual conversations. My understandings of what conversations were about and how important they were turned out to be terrifyingly different from what the other people in the same conversations experienced. It’s like I’ve lost a couple of years of my life as well as some really precious people, and it’s because of this thing that was developing. Now I’m trying to wake up and do something about it. No-one can prepare us for this stuff, well, pretty much no-one. The tertiary level specialists that actually have a clue are spread really thinly and, as I’m finding out, getting referred to them is no easy journey. Just because you have autonomic dysfunction does not mean that you’ll get to find out that an autonomic dysfunction specialist even exists, let alone get referred to one. Partly owing to primary and secondary doctors not having a clue, and partly owing to the unhelpful presentation of the dysfunction which can too easily be misread as other simpler medical issues, (which quite rightly get refuted with each inappropriate secondary doctor you get sent to). Oh yes, and the fact that primary doctors in the UK now control their own pot of money which means that if they don’t understand your condition they’ll whinny and rear at your sensible request and run to the boss-with-the-money for a conference. It’s a hard road for anyone with a rare and invisible illness. We explain what our condition is an awful lot. Even to our doctors. We become ‘expert patients’ and are used to using our good-brain-days to scour some more research papers to understand our own condition better, looking for ways in which we can help ourselves based on our own increased understanding of the esoteric neurological condition. We need to help ourselves because by the time we find out what’s happening and tell our doctor, they then whinny at us for a few more months before eventually referring to a secondary level specialist as a last resort who invariably says “If only you’d been referred to me sooner” and then explains how, if they’d seen you sooner, they could perhaps have done something, but that after all this time the faulty-ANS has made this new issue permanent and so all we can do is try to alleviate the symptoms if at all possible. It’s a repetitive cycle of unhelpfulness with a side order of deterioration. We learn ways of dealing with all this. We develop amazing coping mechanisms. You know, depression is not something to be afraid or ashamed of, it is simply when the circumstances in your life outweigh your coping mechanisms. And that can happen even when you’ve become a coping superhero. We all have our bumpy rides. Some of us feel like that’s just the way life is these days! I’m good at dealing with bumpy. But finding the strength to research and then explain my own condition developments to doctors is really difficult on top of trying to function with the developments themselves. I am afraid of what is happening to me. I am afraid that belatedly getting referred to the correct specialist will be as detrimental as it has been every other time. I don’t know that would be the case but I am only human, and humans worry about stuff. Especially big stuff like not being able to function in normal conversations any more. I always said that since developing the chronic pain condition that I no longer take things for-granted. 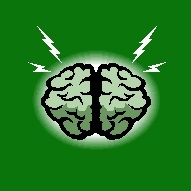 But it turned out that I forgot to really enjoy my brain whilst I still had it on top form. I don’t know what the future holds, but I keep getting insightful views of it from the perspective of the types of deterioration that have been triggered in my body. I have a better idea than most about what the future holds because I have a condition and it gives me clues. And I don’t like the shape of it. I don’t know if I am strong enough. I am oh-so strong, I know that now, I have worked wonders with my levels of CRPS pain and it’s all down to my sheer determination coupled with my understanding of how the faulty-ANS was behaving. Basic understanding, but it did the trick. I got to a stage where I could live my life and be me. Lots of pains and restrictions, yes, but still me despite it all. But I don’t yet know how to do that with regards to losing my brain. What will be ‘me’ if/when it gets worse? What will be left will be my heart, love, soul, strength, but also my frustration at the confusion and difficulty at functioning in conversations and with processing more generally. I now live with permanent brain fog and permanent continuous near-fainting. The degrees of severity vary, but there is a baseline beneath which neither ever goes and the rate of deterioration is truly frightening. I never experience clear-headedness any more. And I miss it. I’m writing this first thing in the morning because, once I’ve woken up properly, I can think most clearly then. The moment I sit up in bed the heart starts going crazy. Sometimes it’s already beating a fast rhythm when I wake. But it always gets worse the moment I get up and start moving. And once it’s done that, it’s with me for the whole day. No escape, no relief, that’s it for the day. Fast heart rate + low blood pressure = fainty experience. Plenty of stuff can make it worse. And being able to think clearly enough to write is really rare these days. So I pick my moments. Magic Dude went off to work this morning and I propped myself up in bed with the laptop because I felt the urge to write this while my brain is functioning close to its best baseline. It’s taken me ’til lunchtime to write this. I’ll find a way through it. I always do. But this has been a particularly tough ride. I want to keep my brain as functional as possible. Here’s hoping the doctor sees the sense in referring me to someone who actually has training and experience in treating this, then maybe I can eventually get some improvement. I’m quantifying symptoms, making pretty little graphs and collecting helpful research at the most basic level for the doctor to look at if he wants to understand it better. I’m being the best ‘expert patient’ that I can be under the circumstances. Now I’ve just got to hope that my doc’ can do his best doctoring under the circumstances, too! I must be turning into my very own special version of old-young-person…. coz there I was a few weeks ago, sitting in my third cardiology appointment complete with thin hospital fleece, and whilst I was aware of my body temperature yo-yo-ing between shivering cold and a half-hearted attempt at self-combustion, my brain was otherwise occupied and volunteered a suggestion….. ‘oooh, this fleece would be really handy for covering the winter veg’’! Gardening thoughts? In a cardio’ appointment? Ah well, I do use distraction as a handy tool for coping with my conditions and their symptoms. I guess it must’ve become a seriously ingrained habit! So yes, … I finally got to see a cardiologist, and my near-fainting issues all made the same sense to him as they did to me. Huzzah! He even knew what CRPS was, and how it can sometimes result in general autonomic dysfunction. It’s such a relief to not have to explain my medical condition for once. That’s the trouble with having a comparatively rare condition, you usually end up training the doc’s, and they’re not always too happy about the knowledge switcheroo! Yes, the near-fainting persists. As does the generally increased, but crazily variable heart-rate. This coupled with my existing autonomic dysfunction and my long list of resulting varied symptoms, suggests that it’s ‘just’ my ANS being spectacularly inappropriate! As usual! I say ‘just’. Obviously it’s actually quite bad as there’s not much in the way of treatment. But, as I see it, it’s nice to hear normal things about my body these days! Normal size and shape of heart, for example. Always nice to find something that’s being what it should be. Even if its behaviour is wrong, courtesy of the weird instructions being sent because I have a neurological skew towards biological mayhem! (To be read in your best Dalek voice….) “Exteeerminaaaate!”? The cardiologist’s plan was that the three-day ECG would (hopefully) show a degree of heart-rate variability which would back-up the theory that these symptoms are also because of my autonomic dysfunction. It would be easier to prove if we could record an arrhythmic heart moment, but they are random and I seem to be in a quiet phase on that front at the moment. 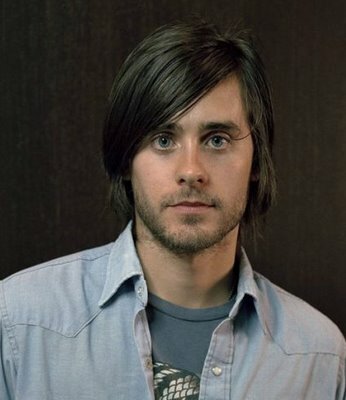 Oh?… Jared looks a bit surprised to be in a blog about dysautonomia! It’s such a good feeling when I get to see a doctor who already knows about my condition. It’s a whole conversation that I just don’t have to have. When I visit my general physician, he doesn’t say much. He just sits and looks at me. He listens to what I say, but he doesn’t usually enlighten me about what he’s thinking at all. It’s tricky not having a two-way conversation with your medical first point of contact. You never know where you are or what is really going on. My doc’ doesn’t know much about CRPS or dysautonomia simply because he’s not specialist trained. As I write this now, I am no longer part-cyborg. And the ECG results came through as not showing enough heart-rate variability to officially pin the symptoms on the dys’. Not enough Jared Leto, I should think. When I went to see the cardio’ again, (because I’m now getting near-faint symptoms after just ten minutes of activity and in fact all the symptoms are worsening at a very scary rate), I was sooo nervous! Not about the appointment, but about the likely unhelpful outcome. I’ve been advised that there are no specialists in autonomic dysfunction, and that I’ll have to go and see other specialists about each symptom, starting with the most problematic. So… gastro-doc’ next then, as the continuous near-fainting and permanent nausea are the ones I’m fighting hardest to get something done about. The neurologist will have to be a close third because the varying loss of vocabulary and basic lack of comprehension generally is causing major problems at times. (Yes, I know I probably sound fine on here but I write this when I happen to be more able, and I re-read for errors about a zillion times before posting)! By the way, he also advised that the array of other specialists that I should see, will also not know how to treat me! I ask you….what is the point? Send me to a specialist who does know, then. Surely that would be the next logical step? Bit of a waste of everyone’s time otherwise. Strangely, he later added that there are no autonomic dysfunction specialists in this part of the country. So they do exist then? I am confused! If I lived somewhere else would I get treated? I found out some more info’ about my ECG results. 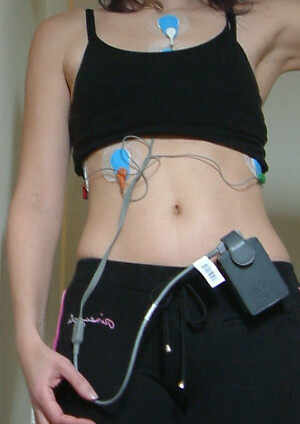 It turns out that there actually was heart-rate variability demonstrated. A normal heart-rate for an adult is 60-100 beats per minute, some online info’ refers to an average of about 72 beats per minute which probably varies with age. My average was consistently 70 across all three days, cool, eh? Um, not exactly! It may be a good average, but my heart-rates throughout each day were actually ranging wildly. It was pretty much the same each day, so as an example: on one day I ranged all over the shop from 34 to 154bpm! That’s not normal! Especially during quiet, chill-out days. And this is where my glee at finding a specialist that knows about my condition ended. It turns out that there are people that know of, and people that actually know how! He knows of CRPS and some dys’ conditions like POTS. But He doesn’t have any experience in treating them. He does not know exactly why I am near-fainting all the time. I get the low heart-rate (vaso-vagal) near-fainting, but also the high heart-rate near-fainting that suggests something like the blood vessels not constricting in my legs, but he doesn’t really know. And he doesn’t appear to know how to find out, either. Which leaves me in a bit of a pickle, because you can’t treat something when you don’t know what it is you’re treating. He’s asked for a fainting test, though. Although he says he doesn’t know if ‘they’ will consent to run the test on me as I haven’t actually passed out yet! You don’t have to actually pass out to be diagnosed with POTS. I am puzzled as to why he thinks fainting is important in dysautonomia, but that near-fainting is not. We already know that I have dysautonomia, albeit only through verbal discussion. I have no official diagnosis letter to wave at doctors. And a key diagnostic tool for dysautonomic stuff is this fainting test he’s referred me for. It’s known as the ‘tilt table test’. It basically entails monitoring the heart-rate while you’re at rest lying on a table, to which you are gently affixed(! 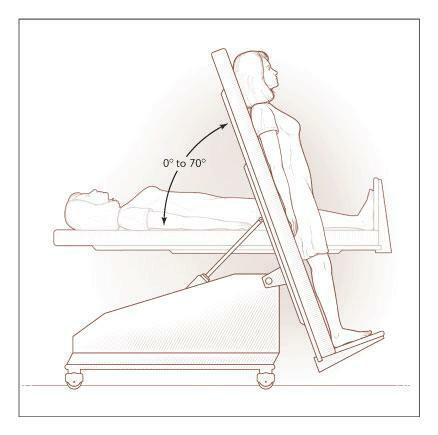 ), then the table is raised so that you’re nearly upright and the heart-rate continues to be monitored at intervals for a fairly long period, (I’ve been told that the appointments last about an hour). Fair enough. A positive outcome from a tilt test would go on my notes and give future doc’s a medical starting point instead of going through the usual time-wasting rigmarole of doubt and confusion! So it could be helpful. Although bearing in mind that even 70% of POTS patients come up with a negative tilt table test, a negative outcome could actually be more detrimental when in the hands of the untrained and uninformed. What I was not expecting was to be told that the reason for requesting a tilt test was to see whether I should have a pacemaker fitted……..*gulp*. Pacemaker???? At my age?? Egads! 1) Heart medications. Which affect the heart-rate, but as my heart rate varies so much… it can’t be medicated for. As soon as a med kicks in to solve one heart-rate problem, my heart will hippity-hop to a different pattern of behaviour, thus requiring different meds before the other ones have even worn off. So meds like beta-blockers and such like are not viable for me. 2) Pacemaker! He says my ONLY option is therefore a pacemaker. It would be set to kick in if my heart-rate drops too low. But it would not solve any of the other problems and so would not be of much use overall. As a CRPS patient I need to avoid all invasive procedures unless absolutely necessary. And this would mean multiple surgeries as each pacemaker wears out over the years. So that’s the choice that I’ve been given. No meds. Just…pacemaker…or continuous and worsening near-fainting. He expected to wave me off to live my life despite continuously nearly fainting all day every day. Why did he not suspect that this may not be very appealing to me? Mysterious minds of specialists. ‘Can’t fix it, so it won’t get fixed, that’s just the way it is….byeeeee, have a nice life’. Really?? Yikes! I know of some meds that could usually be discussed at that point, but he doesn’t usually treat people like me so he just doesn’t know. In his view it’s simply pacemaker or nothing. So is that it, then? There is no help? I know that there isn’t much that can be done, but after doing lots of research and watching the Dysautonomia Information Network’s fabulously informative video about POTS, (a primary form of dysautonomia which has overlaps with my own dys’ symptoms), I was under the apparent misapprehension that some meds could at least be trialled with each patient to have a go at helping to reduce symptoms. Things like increasing sodium uptake to improve blood vessel constriction in the legs, or increasing serotonin in the brain to even out heart-rate, and so on. But the cardiologist is only specialist in his own area. So unless I can find someone out there by my own random and untrained searching of the health service, then I will only get to see specialist doctors who are not trained in the dys’ stuff. My view of the world is rather like this a vast percentage of the time. My eyes don’t necessarily see it like this, it gets experienced like this. So yes, I felt a few tears trickle down my face. Sometimes even the strongest and most determined cannot avoid a chink appearing in their armour once in a while! I kept talking, though. It’s not often I get the chance to see someone who has any clue at all about my condition, so I wasn’t going away without asking my questions first and being gracious and appreciative for his time. Despite the emotions wibbling on the inside! Then I left the building circuitously, (via the disabled loo), and blew my nose as if I had a severe addiction to tissue and there was an international snot shortage that I was hastening to amend. There, sorted. No more snot shortage in the modern world! Job done. Right. Deep breath. I had to drive home safely and get on with my day, and my life. Stuff to do, life to be lived. Check the bathroom mirror – how bad do I look after the torrents have passed? Well, it had resulted in a comedy pink face, but my eyes looked all twinkly so maybe it’s a new look to consider?! So with my imaginary (purple) cape swirling around me, I unlocked the door and stepped back out into the world to continue to be a version of me. Okay, so the cardiologist wasn’t so helpful after all. So before I ask about a gastro-doc, and a neuro-dude, I’d better rethink the vascular issues. Hmmm…time to start searching for an Electrophysiologist, apparently! Gnomes Bane. Daaahn-da-da-daaaaahn! My Clark Kent version of me was having a wobbly day. But that was that, no more crying. The answer was a nice cuppa. Isn’t it always? And maybe some commiseration chocolate. Oh, and this post, of course. 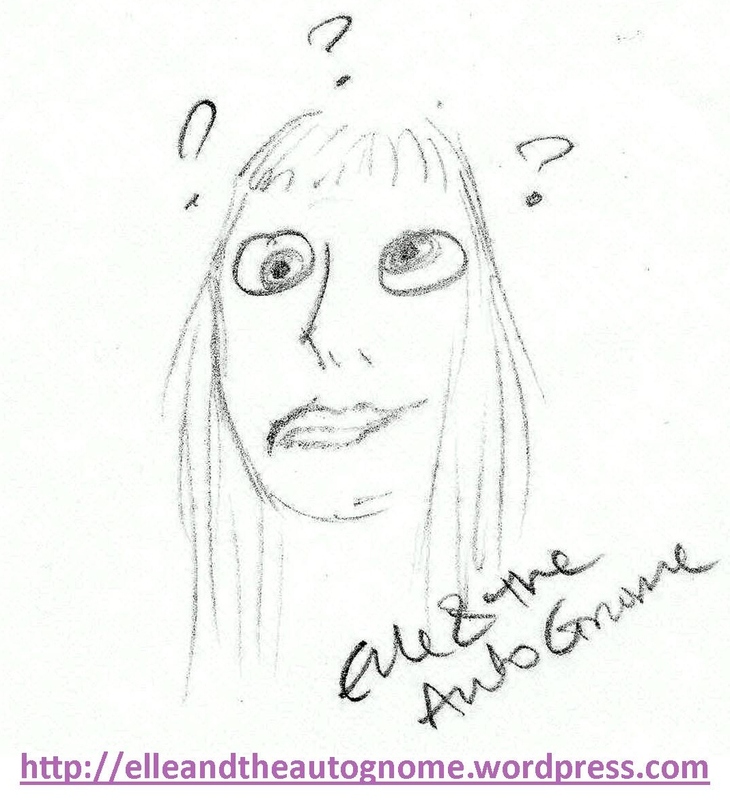 Newer post on autonomic tests (including TTT) here.